The biggest thing "right off the bat" (as "The Chief" would say) is that Mercury has returned to forward motion... (((YAY)))... So much of the confusion and mis-communications of the past few weeks will give way to truth and clarity... Common sense will soon start to find it's way into the light of day... Bringing insight and understanding along with it... This is the universe doing what it must to "set the record straight" before it begins to move us in the next wave of events... This is very important (more than most will realize) as we move further into the new information age. 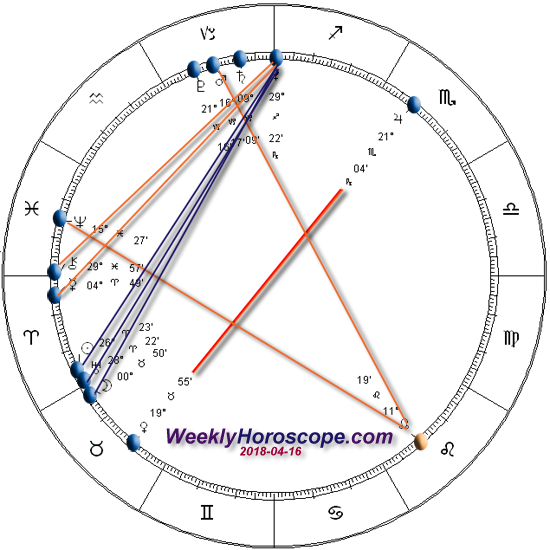 Today's chart is one that gives me pure inspiration... Just looking at the graphic wheel it's where all the planets are "ganging up" on the North Node that has the strength and integrity to be willing to "stand alone" when they have to... With Lilith on a "degree of fate" (29 of Sagittarius) this is surely telling us that there is more going on than meets the eye, and would be wise to slow down and to refuse to automatically accept what we are being told, because it may be far from the real truth... Even if everybody else on the planet would disagree. The daily horoscope for Aquarius shows that you are entering into a new phase of your life where there will be many fresh starts and new-beginnings... This is when you will need a lot of self-discipline because this isn't something you can create on your own... Just watch how one thing leads to another and in no time, you can find your entire has changed/improved so much and you didn't even notice it happening.